Last weekend was all about running. 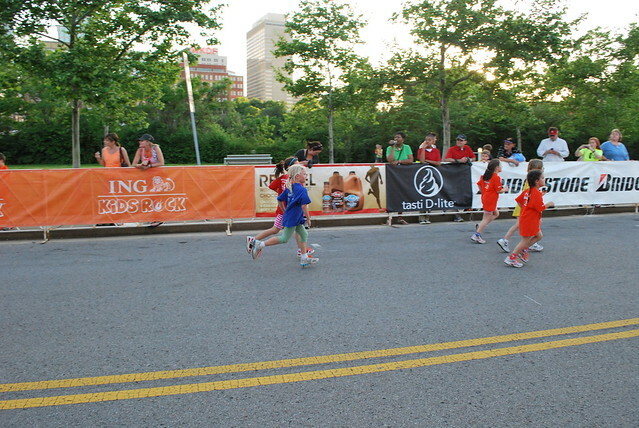 Harper ran in the ING Kids Rock Marathon on Friday night. She has been running in gym and after school for a couple of months now. She ran her final lap right outside LP Field. She ran by so fast I pretty much missed her. This is right before the finish line. She is on the other side of the girl in blue. I am so proud of her. 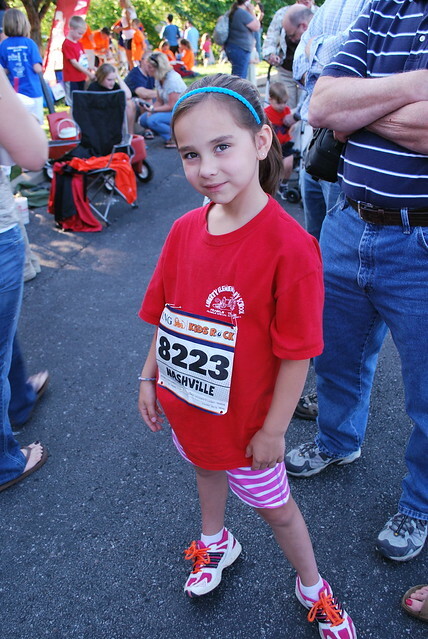 Eventhough she really did not enjoy the training, she loved the race. She said she is definitely doing it again next year.